RATINGS: This man was our Sheffield Wednesday star at Wolves but how did we rate the rest? Sheffield Wednesday turned in a fine defensive display as they held champions Wolves to a draw at Molineux. 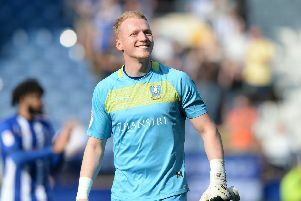 Cameron Dawson was the pick of the owls players after pulling off a few great saves to keep the Owls level, but what about the rest? Click the link above to see our player ratings.